The Louis Barkhouse Flexner papers were donated to the University Archives (UARC) by Doerte R. Smith in 2001 (accession number 2001:033). The papers of Louis Barkhouse Flexner are organized into three series – General File, Correspondence and Writings – which are each arranged alphabetically. Louis Barkhouse Flexner was a Professor of Anatomy and Chair of the Anatomy Department at the University of Pennsylvania’s School of Medicine from 1951 to 1967, a founder of the University of Pennsylvania’s Institute of Neurological Sciences (now called the Mahoney Institute for Neurosciences), and medical researcher noted for his work pertaining to the biochemistry of memory. Medical Education in the United States and Canada in 1910, which was considered the definitive study of North American medical education at the time. Perhaps already following in the footsteps of his uncles, at age seven Louis won a Louisville newspaper’s writing contest on “How I Intend to Earn My Living” in which he explained his intention to one day cure epilepsy. After earning a B.S. from the University of Chicago in 1923, Flexner received his medical education at Johns Hopkins University School of Medicine where he was mentored by Dr. Lewis H. Weed, Dean of the School of Medicine. After earning an M.D. in 1927, Flexner worked for two years under Dr. Leonor Michaelis, a famous biochemist who was then on the faculty of Johns Hopkins. In 1929 Flexner turned down an opportunity to spend a year in Vienna, Austria working with Sigmund Freud in order to take an internship at the University of Chicago Clinics. After eight months of clinic work, Flexner returned to the John Hopkins Anatomy Department where he would remain until 1939. 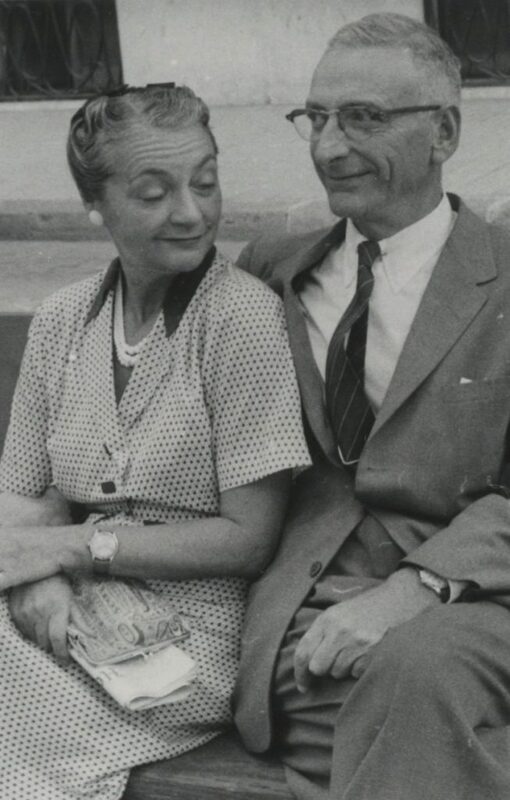 It was at Johns Hopkins where Flexner met his wife, Josefa Barba-Gose. A native of Barcelona, Spain, she was educated at the Universities of Barcelona and Madrid and earned a doctorate in pharmacy in 1927. She had been awarded a scholarship to work as a research associate at Johns Hopkins when she and Flexner met in the early 1930s. They were married in 1938. Louis and Josefa were not only spouses but also colleagues and partners in scientific research, conducting experiments and co-authoring numerous articles together for many decades. Flexner was offered a position in the Department of Embryology at the Carnegie Institution in Washington (now called the Carnegie Institution for Science) in 1941 where his research on the biochemistry of development gained widespread attention. During World War II he remained at Carnegie and simultaneously served as Technical Aide to the Committee on Aviation Medicine of the National Research Council-Committee on Medical Research, which studied the safety and effectiveness of aviators operating under the rapidly changing conditions of aerial warfare. In 1951 Flexner moved to Philadelphia after he accepted a position as a Professor of Anatomy and Chair of the Anatomy Department at the University of Pennsylvania. He developed the anatomy department based on three disciplines of medical research which he felt were soon to become prominent and were “appropriate” for an anatomy department: cell differentiation and development, ultrastructure and imaging, and neuroscience. Flexner felt that neuroscience especially needed to be multidisciplinary to succeed. At the time the study of the brain sciences was spread across many fields (anatomy, biology, psychiatry and psychology to name a few) and functioned relatively independent of each other. Flexner believed that collaboration amongst all neuroscientists and integration of research would benefit the field greatly. To that end he spearheaded the organization of the University of Pennsylvania’s Institute of Neurological Sciences in 1953. Now called the Mahoney Institute for Neurosciences, it is nationally recognized as having been a leader in the growth of neuroscience. Flexner was a member the American Academy of Arts and Sciences, the American Association of Anatomists, the American Philosophical Society, and the National Academy of Sciences. He was on the boards of the National Council to Combat Blindness, the National Paraplegic Society, the National Research Council, the United Cerebral Palsy Association, and the United States Public Health Service. 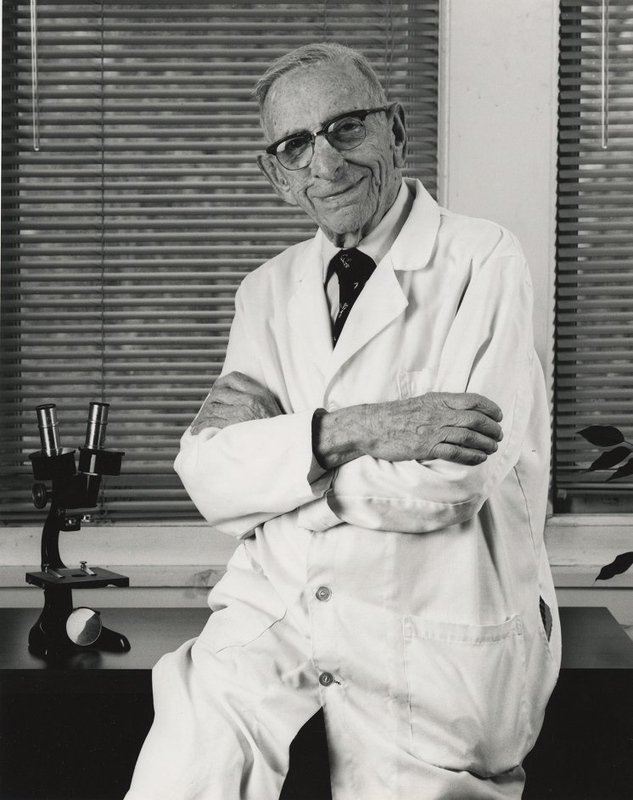 Flexner “retired” in 1967 though he continued to conduct research and instruct medical students into his nineties. He died on March 29, 1996, aged 94, survived by his wife, Josefa, and his sister, Miriam Maderer. The Louis Barkhouse Flexner papers mostly consist of offprints from scholarly journals of articles Flexner authored or co-authored. These offprints date from early in Flexner’s professional life in the 1920s through to the 1980s. The General File series contains curricula vitae for both Flexner and his wife and partner in research, Josefa, as well as handwritten drafts of talks Flexner gave at various events, a small collection of photographs, and offprints inscribed by his uncles, Abraham and Simon Flexner, who both made significant contributions to the field of medicine. Lastly, there is correspondence that is of a mixed professional and personal nature. Caricatures of L. B. Flexner by W. King 1935, n.d.
Histology Class Notes 1975, 1990, n.d. Visual Discrimination Learning and Interhemispheric Transfer in the Cat, as Affected by 6-hydroxydopamine n.d.